League attorney David King arguing Wednesday. 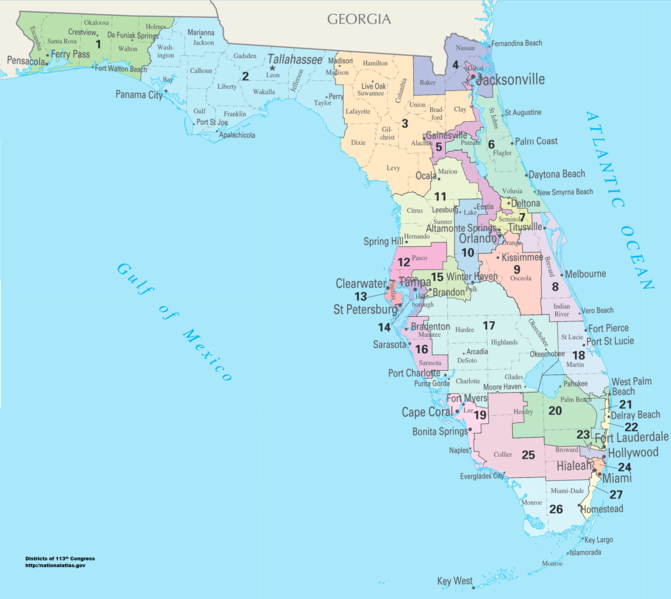 The League of Women Voters is not impressed with the revised congressional map passed by the Florida Legislature just over a week ago. The voting rights group argued against the changes Wednesday in court. 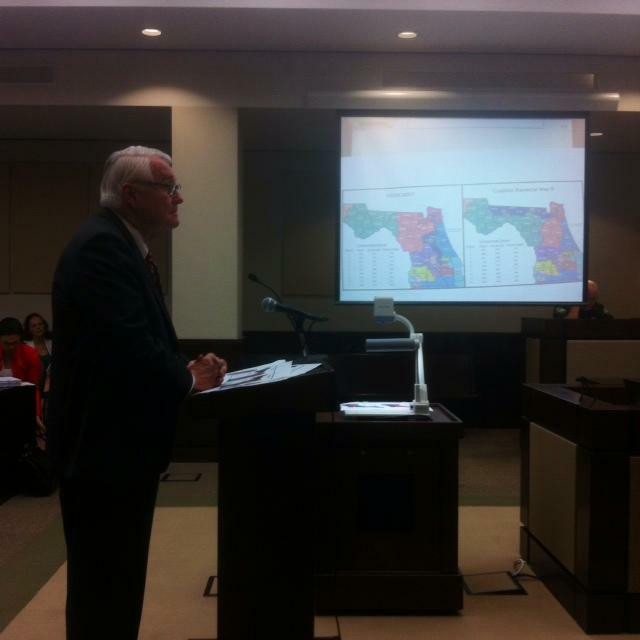 League attorney David King says the Legislature’s redistricting effort did as little as possible to address the court’s order to fix the so-called “appendages” and the compactness of Districts 5 and 10 – something the judge says indicated an intent to favor the incumbent. King says the Legislature didn’t do enough, especially in District 5. “Our conclusion is that it did not solve the problem to simply patch the appendage in Seminole County and to bulk the district up a bit in Putnam County; that did not solve – the district remains essentially the same,” King says. The revised map removes the appendages. But King is leaving the door open for further appeal if Leon County Circuit Judge Terry Lewis does not throw out the Legislature’s newest map. Lewis’ ruling is expected early next week at the latest. Florida’s Legislature may have approved new congressional districts Monday, but critics say the question is far from settled. The League of Women Voters claims the revision does not address the issues that sent the old map to court in the first place. 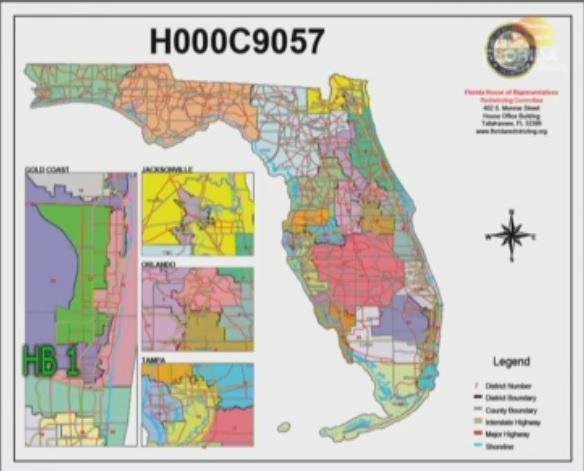 After Leon County Circuit Judge Terry Lewis ordered Florida lawmakers to redraw the congressional district map, the Florida League of Women Voters was ecstatic. But League President Deirdre McNabb says the Legislature’s special session was a farce. Government officials say it’s too close to Election Day to make alterations to Florida’s recently-invalidated congressional districts, but the coalition of voting rights groups fired back Thursday. The League of Women Voters say change is not impossible, and the 2014 election should not proceed without first redrawing Florida’s voting map – even if that means delaying the election.